Dead Secret is a game that has been on my reviewing radar for a long time and is constantly brought up when talking about the best games and experiences for the Gear VR headset, and assuming that version is next to identical to the PSVR version, I could see why. You play as a reporter who is investigating the death of an elderly scientist named Harris Bullard, but it doesn’t take too long before you stumble across evidence that not all is as it appears, and even what you discover may be in question. 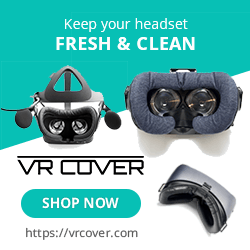 Having a body in VR always makes me happy! With a Dual shock controller, the entire game play like a point and click adventure. To move around you look at the area you want to look at and when you see the foot icon show up, you can then walk to that area and investigate. While you are standing in front of whatever you wanted to check out, look around and when the spy-glass comes up you can click for information, maybe discover some clues, trigger a puzzle, or read an article. There is an inventory system in place that, once again just involves clicking to grab it then clicking to use it, with game often handling combining items so you don’t have too. 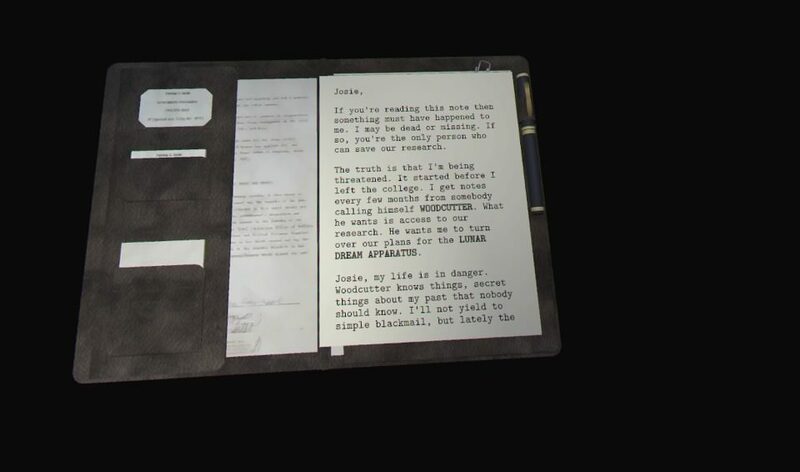 As you find clues the game automatically takes notes for you to refer back on and at the end of each chapter you can answer questions about what you have discovered to keep those key points in your head. As you progress, new areas in, and out of the house become available for you to explore and revisit as well as some cool items and inventions which spice up some of the gameplay. The visuals here look alright, but definitely show their mobile based roots. Textures are washed out, edges are very hard, and the color palette used makes the entirety of the game look sterile. 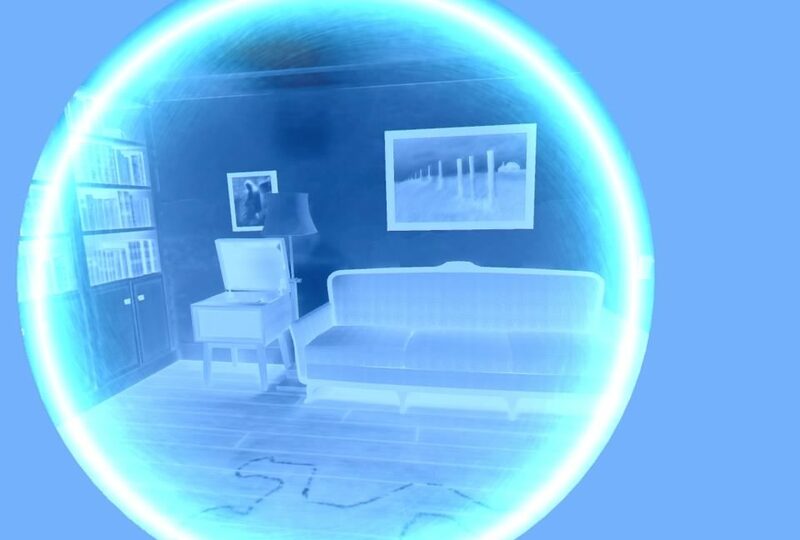 With that said, the house does look and feel authentic enough and Dead Secret delivers on a VR pet peeve of mine…you have a virtual body! 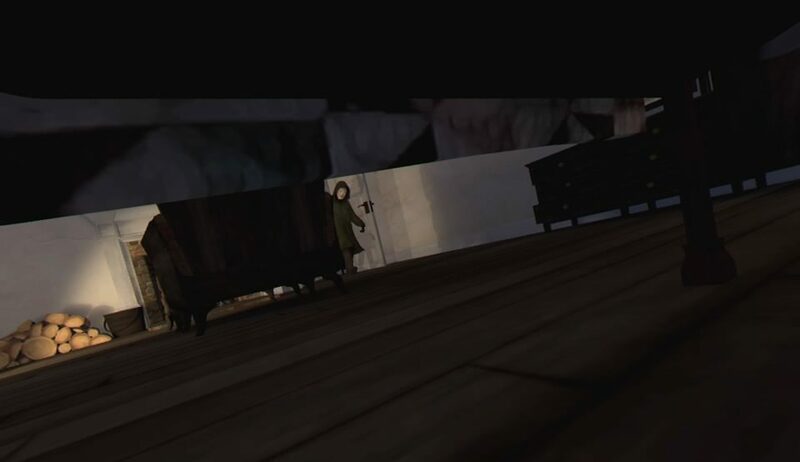 I always appreciate looking down and seeing a physical form and the mirrors scattered around the house showcase that and you can check yourself out in all your feminine, broken arm glory…the protagonist is a woman btw. Though the game takes place mainly in a house, it doesn’t take too long before the creep factor sets in and while the game may not look stellar, it does the job in setting up and immersing you in this horror/detective story. There is a lot of reading to be done here and I do mean a lot, but thankfully the devs have made all the text in this game very easy to read, a task manyVR games fail at. Making up for the lacking visuals is the stellar audio. Creepy music never lets up and keeps you on edge as you explore the house. There are jump scares that just wouldn’t quite work if it wasn’t for the audio backing it up. There are cinematics peppering the campaign as well some voice-over work when certain items are triggered, but for those expecting everything to be read to you, think again. You are in the role of a journalist and when you find a piece of paper, it’s your job to read it. Once you find this device, the creep factor increases dramatically! The bulk of this game plays like an old-school Resident Evil game with a heavy reliance on exploration, reading and puzzle solving. A few unique elements are introduced thanks to the Mr. Bullard’s inventions and mix up the gameplay nicely. Add in the potential villain who could be nearby at any moment and though this is relatively linear tale, there is a sense of unease that never left me throughout my 2-hour playthrough. 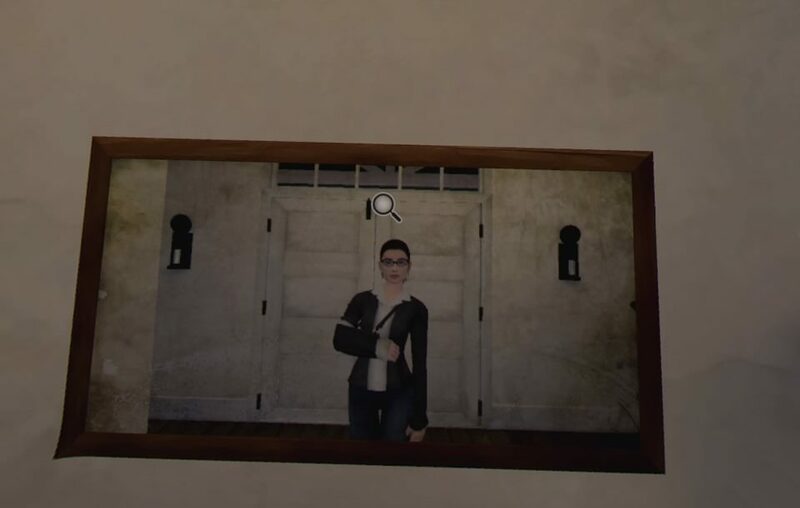 I did enjoy the fact that your character has a broken arm, which allowed the game to set up barriers that could easily be removed if they were in the real world, but the broken arm prevents you from bypassing these obstacles. It’s a nice touch that adds to the realism to the game. It’s unfortunate you can’t free roam the house, but the nav-point system in play works well enough and it wasn’t too long before I just accepted it and enjoyed the story that’s here. As I said there is a fair bit of reading to get through, so be aware of that. When you discover an new item, your protagonist may say something like ‘I remember there was a drawer missing a handle’ and while I get the need to remind people of past discoveries, these little ‘clues’ to my next step annoyed me and I would have preferred having to figure out my next move on my own, but that’s a minor complaint and I don’t have too much else to whine about here. There are 5 different endings to the game, 2 happen during the campaign and the other 3 are options presented at the games grand finale so for those completionists out there, now you know. Dead Secret plays like a point and click puzzle solver with an emphasis on suspense and horror. The story is very deep, and the puzzles are quite satisfying, though a little on the simple side at times. I enjoyed how the mystery here unfolded and the big reveals as the plot advanced had me thoroughly engrossed in the story. If you are looking for a horror-mystery and don’t mind a bit of reading, pick this up. What would I pay? Dead Secret plays like an above average mystery/horror movie and is priced along those same lines. $15 for a few scares and an intriguing story…I don’t regret my purchase!